The RivetKing® Checkmate® is the only breakstem permanent fastener to have aesthetically appealing, near-flush installation on the front as well as the back ends. A true head on both sides of the rivet. 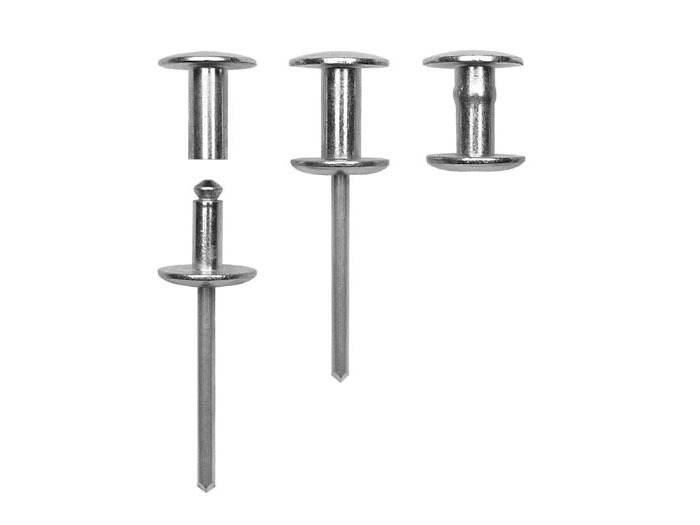 This rivet is offered in extended lengths and has one of the longest grip ranges available.